Here we are, day three in April, letter C. Thanks for reading, liking, commenting, sharing, and all of that stuff! Last month I saw an online science news video that I can’t get out of my mind. 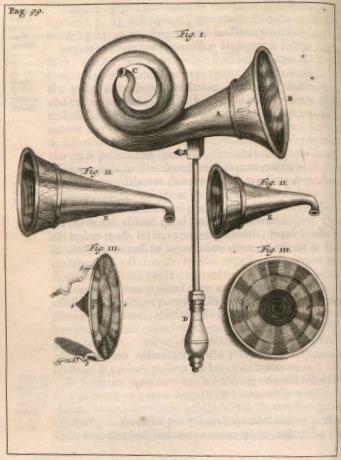 Like an eye worm, it plays and replays again and again in my head. I do not remember the story or where I found it. What is etched in my mind’s eye is the reporter. She wasn’t at all like all those classic cookie cutter news anchors with coiffed blond hair and perfectly pressed clothes. Though she had a different look than them, it wasn’t her hair or clothes or shape that made her memorable. She exuded pure confidence. Comfortable and centered in who she was, her self-assurance spiraled through cyberspace into my laptop. It was she, not the screen, that cast a glow in my livingroom. Confidence is riveting. Being in the presence of true, authentic, confidence is like drinking a powerful infusion of vitamins from a glass of freshly juiced greens. It wasn’t her ego. She didn’t purvey an ounce of conceit. She was filled with an abundance of joy and comfort in who she was. It was beautiful, it was stunning. In describing beautiful folk – whether you are conversing with friends or crafting language for a story that you write or tell – don’t forget about this quality. It is a quality that anyone can possess, regardless of their looks, their genetic code, or background. It is a quality that anyone can find beautiful in anyone. And the best thing? Try being in a room with a confident person. It is contagious. So, can one come across beauteous confidence in real life people? Certainly, I just told you all about a real life newscaster. Can a protagonist in a story be attracted to another because of her or his confidence? Of course. Just tell about it confidently, describe it winningly, and you will depict a character who is attractive as a friend, as a lover, and as a role model for the people in your audiences and personal lives. By doing so, you will remind people that when they tap into and trust their sense of self, that is much more beautiful than what can be coiffed in a mirror. Who are the confident beauties who you know in life and literature? I would love to hear about them! But first, I hope you read the B post!! I once had a crush on a college professor. His brilliance filled me with wonder. When his eyes flashed with understanding, it was invigorating. Seeing his facial expression shift while his mind hurtled forward through a zany analytical roller coaster was one of the most exhilarating things I witnessed during a slogging educational dip in my life. As I sat there in his classroom I learned that a brilliant mind is a seriously beautiful thing. That Eureka moment, when an idea explodes to life in someone’s brain, can be read on that someone’s face. It is like flicking the light on in a darkened room and, at the same time, experiencing immense joy at opening a long anticipated gift. Brilliant moments like that are beautiful to behold. Life informs stories and stories inform life. In retelling an old story with a plot that hinges on a man and a woman coming together, I decided to make a shift in that plot point. I rejected the idea that her physical appearance was the thing about her that caught fire for him. Instead of noticing her outward appearance, my protagonist was jazzed by her inward intelligence. She stood out from a host of many other young women when he recognized her cleverness. In his view, she was a brilliant young woman. Her beauty was all about her quickness of mind. He was not threatened by it; he welcomed it and applauded it. That’s how we chose to tell the story. So when you choose to tell your stories, remember this quality. Remember it when you think about people you know in life, recall it about characters you know in literature, consider it when you write or when you tell your friends and family about someone who is beautiful. Anyone, of any age or background, can have Eureka moments and be invigoratingly beautiful to themselves and to others. April 1st is Letter A Day! 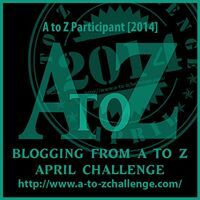 Welcome to my first A to Z Blogging Challenge post. I am very excited to be doing this and I look forward to meeting many folk along the way. There is a story in our repertoire about a young woman is who ravishingly beautiful. Every character in the tale recognizes her beauty. Audiences who hear the story know that she embodies beauty in all its fullness. Yet we never once say what she looks like. Instead, we paint pictures about how she acts in her world. Compassion runs through her like a vein of golden ore; it shines up her every gesture. Other characters in the story take note of the beauty of what she does and how she acts. They say she is beautiful, through and through. Like her nasty sister, she has choices. But unlike her nasty sister, who chooses ugly actions, our protagonist chooses to carve a path of beauty through life. She cares for her ill mother, helps those in need, brings comfort and beauty to everyone she meets. By touching her world with beauty, she shows that she is beautiful. Characters in stories have choices in how they live and how to behave in relation to others. How they act can be beautiful. Characters in life are no different. Mother Teresa was a beautiful person who is remembered not so much for what she looked like, but for the great good that she did in the world. And she is remembered as a beautiful person. So, when you write or tell any story or anecdote, remember that you have the power to describe beautiful characters not by how they look, but by what they do. When characters meet in stories, show them recognizing beauty in each other’s actions. One doesn’t have to look a certain way or weigh a certain amount to achieve that kind of beauty. By depicting beauty in actions, you will help others to reimagine and value beauty in a new way. That will make it possible for everyone to be beautiful to ourselves and others. Take a beautiful action yourself. When you write or tell any kind of story, describe your beautiful character by what she or he does. That way, you encourage those who read or hear your story to see that beauty is as beauty does, and that anyone can be beautiful in what they do. Looking forward to the letter B! Copyright 2014 The Storycrafters All rights reserved. Hey, I’m doing something neat next month! A group of bloggers (nearly 1500 as I write this post) will blog every day in April, except Sundays. Starting on April 1 with the letter A and going forward to the end of the month with the letter Z at the end of April 30, bloggers will write daily posts on the same letter. Over the month it will be like savoring alphabet soup, one noodle at a time. People say it is great fun, so I’m raring to go. Many bloggers who do this challenge orient their blogs to a theme. And today is the big Theme Reveal. My theme is Reimagining Beauty. One of the most beautiful children I have ever seen is a little girl. She was born with a genetic syndrome that among other things, alters the way she looks. It got me to thinking about the images of beauty that she will encounter in her life. Will she feel excluded? My recent blog posts have touched on this and other related issues, and there are more to come. But when the A to Z Challenge came my way, I thought that it would be great opportunity to really dig down into this issue. So I decided to focus on how anyone – storytellers, writers, people in everyday conversation, parents – anyone has the power to describe beauty inclusively, regardless of cultural background, body type, age, abilities, or what their physical appearance has or “lacks” in terms of media driven imagery. Because that stuff is not what matters or makes one beautiful. At least that’s my take on it. Storytellers know that words have great power to change mood and mind. My blog series on Reimagining Beauty will focus on the words we can choose to redefine and reimagine beauty in ways that are inclusive of anyone. It will be one fun roller-coaster ride through the month of April. Have you heard about Antoinette Tuff? She is the bookkeeper who single handedly talked down a gunman in a Georgia school. Living up to the spirit of her name, she was alone with him for an hour. Yet calmly and compassionately, she talked to him, drew him out, made a personal connection to him and his life. Although Ms. Tuff claims that the credit for her success lies solely with God, there may be an additional, worldly contribution to her success as well. “I just started telling him stories,” she said. Storytellers have always claimed that the power of storytelling can be momentous. Therapists and others who use stories in healing work have seen it first hand. Organizations like Alcoholics Anonymous and related self-help groups are predicated on the telling of stories to heal self and others. Antoinette Tuff told her own stories as a way to make a connection with the gunman, and in so doing, she probably saved many lives. Honor this woman. Listen to her tell the story of this event. She is heroic in every sense of the word. And tell your stories too – you never know, a story you tell may save a life.